Two O.C. Parks Commission members are appointed to panel; appointments of community members remain on deck. DANA POINT — The recently created Dana Point Harbor Advisory Council is not yet fully operational, though two of the council’s 11 open seats have officially been filled, according to county staff. Appointments to the commission could be coming in the near future. 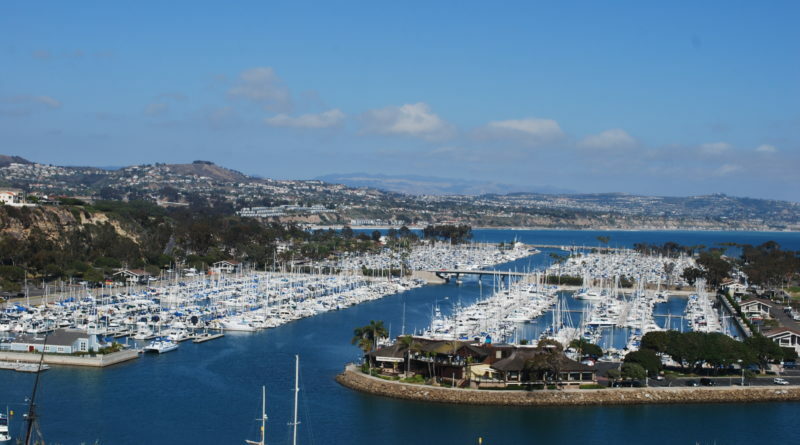 The Dana Point Harbor Advisory Council was created in May as an O.C Parks Commission subcommittee, with two commissioners and nine community members (boaters, dry storage tenants, harbor merchants, etc.) filling the board’s 11 seats. Two commissioners – Joe Muller and Justin McCusker – were appointed to serve on the council. Both of them will select the council’s remaining members, according to O.C. Parks Deputy Director Jonathan Nicks. The nine seats to be filled will be made up of boating representatives and local merchants, among others. “Commissioners Muller and McCusker, who were appointed by the Parks Commission to serve on the Dana Point Harbor Advisory Council, are currently in the process of reviewing applications for the other nine advisory council positions,” Nicks told The Log in an email. “No advisory council appointments have been made to date, however the commissioners are expected to bring their recommended appointments back to the Parks Commission for vote as soon as possible. “The item to appoint members to the Advisory Council is anticipated to be agendized at a regular Commission meeting in the coming months,” Nicks continued. McCusker serves the commission on behalf of O.C. Board of Supervisors’ Fifth District, which is represented at the county level by Supervisor Lisa Bartlett, and includes Dana Point. Muller is the commission’s “coastal cities” liaison. Acting as a forum for public input, facilitating dialog among harbor boaters and other users, recommending direction on harbor-related capital improvements and supporting Orange County’s pursuit of certain grant opportunities are among the duties and responsibilities of the council. “Creation of a Dana Point Harbor Advisory Council … is recommended to serve as an advisory group to OC Parks and the commission to provide feedback on operations, policy and infrastructure,” county staff stated in a report on the council’s formation. Council meetings are held quarterly; membership on the council is voluntary and without compensation. Each member is appointed to a term of two years. No member may serve for more than three terms. Meetings will be held at the O.C. Sailing and Events Center in Dana Point. Representatives from wet slip boaters, dry storage tenants, trailer boat users, small craft operators, restaurateurs, harbor merchants, local clubs, service organizations and an at-large member would occupy at least one seat on the council. More information about the council can be found at ocparks.com/beaches/dana/dphac or by contacting Bartlett (lisa.bartlett@ocgov.com).